After taking time to learn the ins and outs of SMS marketing, you’ll start to wonder about how to automate your text messaging. We don’t blame you, as the best marketing tactics essentially run themselves. 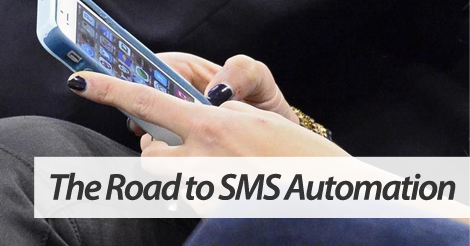 Well, if you fully understand SMS marketing basics, as well as compliance, let’s take it to the next level and discuss automation. 1. First things first, do you have birthday rewards switched on? This is an easy, hands free way to reward your subscribers for their loyalty. Turn this feature on, and let us do the work. After opting in, subscribers will be prompted to reply with their birthday. Once our system receives this information, we’ll automatically fire out a birthday reward of your choosing on their special day. 2. Drip campaigns are crucial. Take advantage of this new feature, as it allows you to schedule campaigns days, months, weeks, even years in advance. Want to communicate with subscribers on a consistent basis, but don’t want to manually compose campaigns, day after day, week after week? Enter drip campaigns. This new feature allows you to set automated SMS marketing campaigns based on date of opt in. 3. One last detail! Our dynamic expiration feature is the bomb dot com. Instead of manually setting an expiration date, our dynamic expiration feature sets an automatic offer expiration based on the date of opt in. This is just the beginning, but if you’re looking to automate SMS marketing campaigns, it’s a great start. Join forces with top SMS marketing service, SlickText.com. We give you all the tools you need to succeed at this mobile communication tactic. Our feature rich platform boasts innovation and extreme ease of use. You don’t have to be an SMS marketing pro to conquer our platform. In fact, you don’t even have to be a marketing pro. You simply have to want to learn. Do that, and the results will be a piece of cake.